A giveaway sounds fun, doesn't it? Who doesn't like a giveaway right? How would you like to win one of those great Fifth Avenue Glass Beverage Dispenser with Willow Base & Lid from Jay Companies. On October 8th, I will announce the winner back here. All you have to do to enter is visit Jay Companies and comment back here telling me what else you see that you like. That's it! One comment per person please, and be sure to leave your email address so I can contact you if you are the winner. love their Style Setter Chalkboard Clear Canister Set! I love the Fitz & Floyd Daphne Stemless Glasses! Love the Style Setter Everyday Basiscs 3 piece jug set. I LOVE the American Atelier Nautical Distressed Round Tray!! I love the beverage dispenser you are featuring most. In fact, I would like three! But a close second is the round mirror looped tray. Among quite a few other items, I loved the atelier bianca leaf 16 piece dinnerware set. Thank you for sharing this link. So many nice things on their site! My favorite that I would like to have is the American Atelier Nautical Distressed Round Tray in brown, but I like it in white as well too, this would be perfect to display items on my island! I love the round rattan charger plates. I LOVE the American Atelier Bianca Leaf Blue Dinner Ware Set. I could see that easily going with my table top décor. Love you blog! I'm so happy I stumbled upon it today. I'm partial to any of their cake pedestals! I'm in love with the American Atelier Madera Pedestal Plate with Dome. It's quite gorgeous. I'm loving the American Atelier Maison 3 Piece Canister Set. These would look great in my kitchen. loved their choices of decanters... love crystal decanters sitting on a bar.... [email protected] And I love your blog have followed it for the last several years! 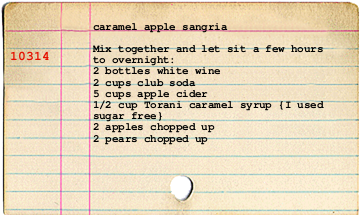 I am so going to make this sangria it sounds delicious!!! What a lovely giveaway. Thanks for the chance. I love the Love the chalkboard canister set! I really like the American Bianca Dots Round Dinnerware Set. Very cute!!! Great stuff. I like the American Atelier Madera Pedestal Plate with Dome. Thanks! Great giveaway-thank you! I actually love their selection of beverage dispensers-not sure whether I like the chalkboard set or the Williamsburg set better! Oh my...those American Atelier Living Banks Orange Chairs...to die for. Thanks!! I would love the American Atelier Living Banks clear chair with gold legs to use as my desk chair !! I love the style setter 3 piece jug set!! Just love the American Atelier Bianca Fleur Round 16 Piece Dinnerware Set. I love the Fifth Avenue Crystal Winston Beverage Dispenser! What a fun give-away! Thanks! I really like the American Atelier clear chairs with white legs. Yes please...pick me. Loved the style sitter chalkboard canister set and the Madeira footed serving bowl! I would love to win the beverage dispenser...and i can't wait to try your sangria recipe! The cheese board/platter would we so nice to have for holiday entertaining. Going to try the Sangria. Thank you! I love the Style Setter 3 Piece Glass Canisters with Lids-Black! Thank you for the fun giveaway. American atelier Bianca white round - so pretty! I like the Fifth Avenue Saturna Set of 3 Candle Holders in white. Very pretty! I like the mirrored jewelry boxes. oh for sure the...American Atelier Madera Pedestal Plate With Dome. it is a great piece! I love the American Atelier Madera Pedestal Plate w/ Dome. I love the American Atelier Bianca Laurel Round Dinnerware. Thank you! I love the living Lilly chair! I love the Fitz and Floyd tufted crystal old fashion glasses. They have beautiful items! Love the Fish & Snail pitchers, & the American Atelier nautical distressed round tray in white. Great items! I am in love with the Butterfly Jewelry box. I'd love to buy the Fitz Floyd Radiance Vase. Thanks for the chance to win. They have a huge selection of beautiful beverage dispensers and I love yours, but what I really want/need is a set of blue stemless wine glasses! I have been looking for new chargers, and they have quite the selection! I love love love everything they have but I was hoping to see a dispenser made just for hot beverages. The pedestal plate with dome is beautiful. Love these retro chic dining chairs! Adore the Style Setter Vintage Glass Beverage Dispenser-Blue. I love the American Atelier Wynona clear chairs with the houndstooth cushion. Besides the beverage dispenser you feature, I also love the Madera dispenser with the wooden base! 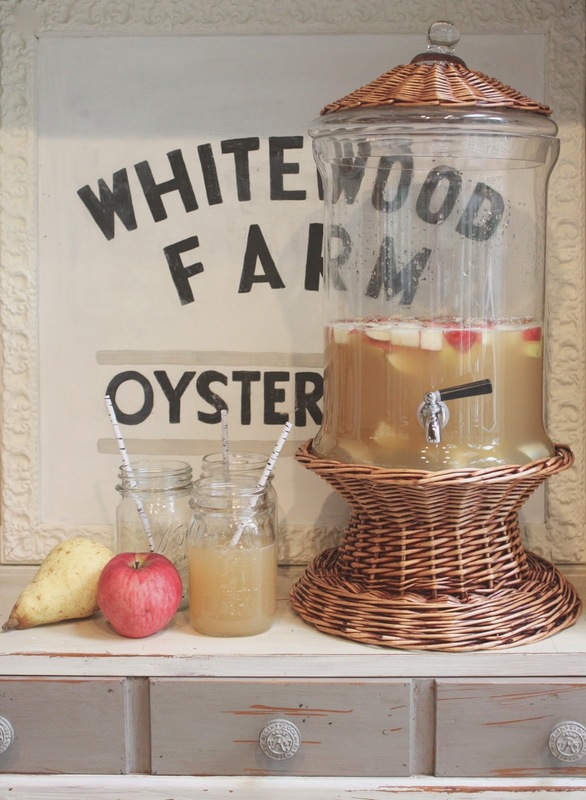 Love the beverage dispenser, but also the Bianca Bead white dinnerware! LOVE LOVE the American Atelier clear chairs with the legs that are white. Beautiful! In love with that wicker/glass decanter you chose, too! Wonderful giveaway! I like the Savino designs fish pitcher. The wicker dispenser is lovely and it matches my decor perfectly! I like the American Atelier kitchen canister set! Thanks for the opportunity to win! I like their selection of bar stools. My favorite is the American Atelier Living Wynona Clear Chair with White Seat & Blue Cushion because the cushion matches our kitchen. Love the mirrored charger set! Very modern and sparkly! I I loved the Natalie floral glass picture frame, Love everything flowers and romantic. I Also liked the Fith Ave crystal Winston beverage dispenser, but I like any beverage dispenser, the are so much fun for entertaining. Great products! Thank yup for the opportunity. I love Sangria and I am going to try this recipe! American Atelier Gabrielle White 3 Piece Pedestal Canister Set From the Jay Co. Thanks! Love the Fifth Avenue lass canister set. I never had a Sangria...sure looks yummy! Hi, I'm Blanca Martinez, I forgot to leave my email address with my comment. I love the Corelle Apothecary Style Glass Beverage Dispenser :) This drink sounds yummy! Crystal Clear H2O 3 Rectangle Section Server is very unique that I really like it. The Beverage Decanter would make a great addition to a Fall Buffet! Coveting the American Atelier Living Banks White Chair! Jay Companies is now bookmarked...fabulous wares! I like the double beverage dispenser with stand! It is so cute. I like the Charge it by Jay Silver Ruffle Rim Charger Plates. I like the Fifth Avenue Crystal Winston Beverage Dispenser! I love the American Atelier Bianca Bed dish set! Think the Fitz & Floyd Fleur crystal highball glasses are beautiful! Think the Fitz & Floyd crystal Fleur highball glasses are fabulous! I like the Style Setter Chalkboard Clear Canister Set. I like the living chair by American Antlier. I love this beverage dispenser...it's gorgeous! And I also love their American Atelier Hopscotch Ivory 16 Piece Dinnerware Set! I love the American Atelier Bianca Dotted Square Dinnerware Set! I have always loved square dinner plates and this classic style is fabulous! I just love their American Atelier Madera Pedestal Plate With Dome and the cheese board! Such a cute collection. I love the American Atelier Maison 3 Piece Canister Set. Also, that sangria looks extremely delicious. I can't wait to try the recipe my self. I also like the American Atelier Crocodile Nesting Trays - Set Of Two! LOVE their style! My favorite is their Accents by Jay Mirror Round Tray! I love love love the chalkboard canisters!! i love this! and there are a ton of things I see just in a short look around. the first thing I saw that I was like YES, I want that! was the "american atelier gabrielle white three piece pedestal canister set". I could find a zillion ways to use those! This Fifth Avenue Glass Beverage Dispenser looks super cool! I really love it!! I also love the Fifth Avenue Crystal Venezia 17 Inch Tray. It's so beautiful! I love the Fitz & Floyd Prince Crystal Vase. I like the green wine goblets. I absolutely love the American Atelier Cantabria 16 Piece Dinnerware Set. Our dinner plates are old and ready to be replaced! I love the charge it! By Jay silver glitter glass chargers. http://jaycompanies.com/serveware/kitchen-storage/american-atelier-canister-set-of-3.html These are so pretty! I might buy them tonight! Lol! I would love to have the American Atelier Maison 3 Piece Canister Set. I love the glass charger plates..Love this company never heard of it.. I will be ordering from them soon for my next party..
Ooh, I like the Fitz & Floyd Sarah Set of 4 Champagne Flutes. And I love the beverage dispenser you are giving away! I really like the American Atelier Asiana White 16 Piece Dinnerware Set. 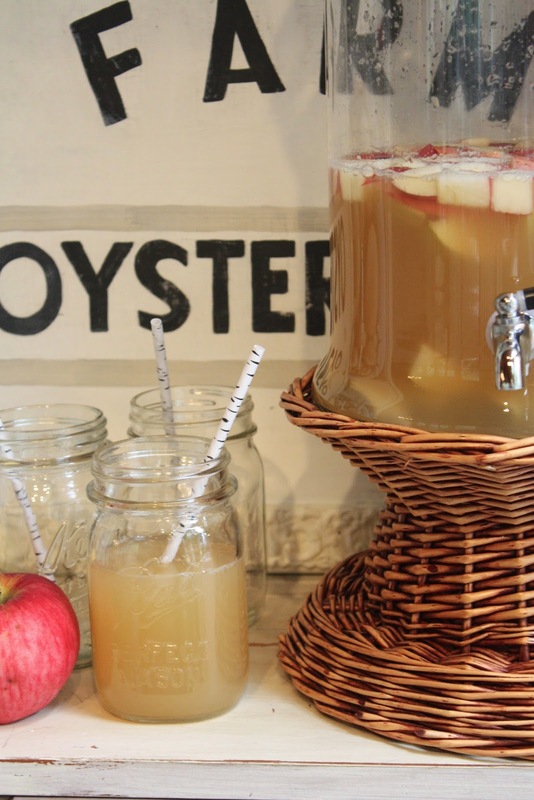 I love the style Setter Chalkboard Clear Canister Set! I like the Style Setter Pub Glass Beverage Dispenser. I love the ChargeIt by Jay Arizona Charger Plate, it would look beautiful for a holiday dinner!! I love the Fifth Avenue Crystal Medallion 13 ounces Blue Wine Goblets Set of 4! I like the American Atelier Tasmania 16 Piece Dinnerware Set in blue. In this season apples and pears are so yummy! Just a perfect summer for sangria! Can someone say for how long can I keep the drink? I want to make an imposing amount of bottles ahead. Also, is it possible to replace fruits on a juice (alternative to norwalk) to make your sangria in wintertime? Thanks in advance! 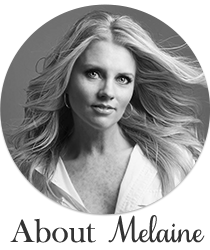 Melaine Thompson is based out of beautiful Seattle Washington. Two Nursery Designs – Which Will It Be?! Spring Front Porch Update with WAY DAY SALE! Announcing My Part in Invitation Homes “Make it Home” Show House! Permits and Demo at the Lakehouse Reno! What Makes You Feel Beautiful? © 2014 My Sweet Savannah. Blog Design by Sadie Olive. Powered by Blogger.